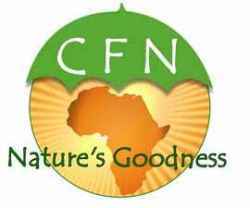 Care for Natural Gambia CFN supply products such as Mama Helen’s Produce in dairy from cow’s milk, including breakfast yogurt, frozen yogurt, and milk ice. Made especially for Gambian school children to add nutrition to their usually poor diet. Mama Helen’s ProduceÂ is also processing food, mainly fruit and local plants and herbs into finished food products for wholesale, catering, and retail customers. We make jams and confiture from local, tropical fruit such as mango, papaya, and pineapple, as well as grapefruit and orange marmalade. Plant and Grow ShopÂ deals in green and grows indigenous tree species, fruit trees, forest trees and seeds, and jathropha trees and seeds, as well as exotic species and palms. We also have a large selection of plant pots, arts & crafts, and garden furniture. Is aiming at facilitating simple and nature friendly solutions for our customers while creating awareness about global climate changes and introducing ways to help by planting and growing. Eco plantation, adjecent to our eco forest, is set up to introduce the purest, most friendly and “Africa suitable” solution for most medical and nutritional problems. OurÂ aloe veraÂ is as 100% pure and 100% eco friendly as the words can mean. Visit our website for more information. Click here.